The author of a recently-published mystery novel uses locations in Cannon County and the names of actual Cannon County citizens for those of some of the characters during the telling of the story. 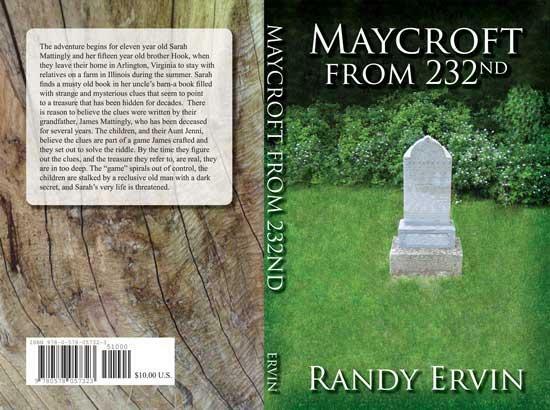 The book, entitled "Maycroft From 232nd" is written by self-published author Randy Ervin of Mattoon, Illinois. Ervin is also the Chief of Police of the Lake Land College Police Department in Mattoon. The book is a mystery that is geared toward middle school-aged children, although adults have said they enjoy it as well, Ervin said. "I have always enjoyed reading and writing and a couple years ago I had an idea for a mystery that I shared with my children. 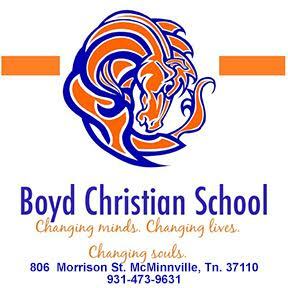 They liked the concept and encouraged me to write it so I did," Ervin said. Ervin said The two central characters are siblings Hook (a nickname) and Sarah Mattingly. They live in Arlington, VA, just outside Washington D.C., where their father located after a tour in the army. One summer they go to Illinois to spend a few weeks with relatives (their father's family-he is originally from Illinois). Life on a farm in southern Illinois is much different from the urban sprawl they are used to. One day Sarah is exploring the barn on her aunt and uncle's farm and she discovers an old musty book. The book has clues that seem to be part of a riddle or game. The kids set out to solve the riddle, but soon realize the clues are real and not part of a game at all. A decades-old secret is revealed and Sarah is thrust into a struggle for her very life. Ultimately the only way to save Sarah is to solve the riddle and discover the meaning of the clues. But, time is not on their side and the family has to act fast. Ervin said he had a need for a part of the book to be set in a remote location, which is how Cannon County enters the picture. "I did have a need for part of the book to be set in a remote area," Ervin said. "I wanted it to be in another state but not too far from Illinois. I looked through a road atlas and your area jumped out at me for some reason. I had never been there and had no connections to your area. "Once I picked your area, I did a lot of research on the internet. I used real locations and people. For example, I needed law enforcement personnel so I used the real Cannon County sheriff and Woodbury police chief." Ervin is selling the book for $10 per copy, plus $5 to cover the cost of a padded envelope and mailing. He said people wanting a copy can mail their order along with payment to: 1113 Stinson Ave., Mattoon, IL 61938. Ervin said he has sent complimentary copies of his book to Sheriff Billy Nichols, Chief Tony Burnett, the Cannon County Chamber of Commerce and Cannon County Schools, plus Brother Herb Alsup of the Woodbury Church of Christ, the namesake of another character.